Stock option trading information is plentiful on the internet, but most of it is general in nature. Options are normally perceived as a high risk investment with potential high return on investment, which is why most people consider them to be tantamount to gambling. But did you know that there are a number of low risk option trading strategies which in many cases, are less risky than if you were trading the underlying stocks themselves? You also risk less capital on each trade and receive better returns than you can for stock trading. But you have to understand options first. So if you're searching for good stock option trading information then take a look around this site. Or if you want to really shortcut your education, you can download 24 hours of video training which takes you from the very basics through to advanced strategies you can use to successfully and consistently trade options as a lifetime business and with confidence. 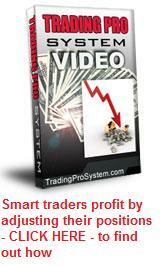 These videos include some of the best stock option trading information I have seen. In fact, even if you're already familiar with options basics, I guarantee that after watching them you'll never see options the same way again. Options are a contract between you and the market, to either buy or sell stocks at an agreed price (called the 'strike price') up to an agreed date (called the 'expiration date'). The contract gives you the right, but not the obligation, to do this. The "not the obligation" part means that should the price action of the underlying stock not go as anticipated, the most you can lose is your investment amount. This is where options differ to futures or other leveraged instruments such as CFDs or forex trading. In most countries, one option contract covers 100 shares of underlying stock. You could consider the option as a kind of downpayment pending your decision to buy or sell. In the meantime, because the stock market is like a big auction house, the price action of the stocks will fluctuate and this is where your potential profits normally come in. For a small sum, you now experience the benefits or otherwise, of the price action on 100 shares, or multiples thereof. Instead of risking a large amount of capital to buy 100, 500 or 1000 shares, you buy one, five or ten option contracts instead. This is called 'leveraging your capital'. Let's say you have reason to believe that Microsoft's shares were going to continue to rise in the short term. They are currently trading at $32 per share and you think they'll reach $35 within two months. You purchase ten call $32 option contracts on the shares with 75 days to expiration, for $1.25 per share. You now have rights to the fortunes or otherwise, of 1,000 shares of Microsoft, for up to 75 days - and instead of paying $32,000 for the shares, you have only outlaid $1250 plus brokerage fees. After one month, Microsoft is trading at $35 per share but you own the right to buy them at only $32. This $3 per share is called 'intrinsic value'. If you exercise your options and then sell the shares back to the market at $35, you can immediately make $3000 profit less the cost of your options ($35-$32 x 1000 - 1250 = $1750) but why would you do that, when your call option price will also now reflect this advantage. The call options will also contain about 45 days of remaining "time value" in their calculation too. So you simply sell your call options for $3,222 and make $1,972 profit. Complete stock option trading information also requires us to look at put options. These allow you to "put" or sell shares to the market at an agreed price and their profitability potential works in reverse to call options. You buy puts when you believe a stock's price will fall because this will allow you to sell the stock for a higher price than the current trading price, thus making a profit. So you see, the added attraction of trading options is that you can profit whether the underlying stock price is rising or falling. You can trade the market in both directions. But you can also use options to range trade. This means that you construct positions in a way that realize a profit, providing the price of the stock remains within a predetermined price range. In our Microsoft example, let's say between $26 and $34 for the next thirty days. The strategies used here are more advanced, but very effective because they take advantage of the one thing common to all options - they eventually expire. The secret to remaining profitable with range trading strategies includes learning the art of adjustments. This is more fully explained in the Trading Pro System videos. Another piece of stock option trading information worth mentioning, is that you can also use options to trade non-directionally. In this case, you don't care which way the price action goes, as long as it moves significantly within a month or so. Buying the same number of calls and puts, combined with the leverage they provide, gives you a winning chance whichever way the underlying price action goes. You can also use options in combination with stock positions. The well known Covered Call is one such strategy - you buy multiples of 100 stocks and sell call options contracts on them. Doing this, you receive funds for the options you've sold which effectively lowers your entry price for the stock. If you combine this with purchasing stocks by selling put options on them first, you acquire the shares at an even greater discount. Did we forget to mention? With options, you can not only buy them, but can also create them out of nothing to sell to the market. 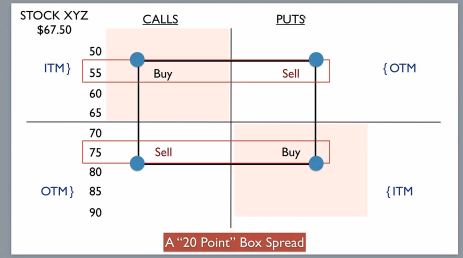 When you combine bought and sold positions, this is called option spread trading. Stock option trading information is plentiful, but the right kind of education is not so. Over 85 percent of all option contracts expire worthless, which means that a lot of people are losing money. Knowing how to trade options the best way will not only help you avoid the financial loss that accompanies so many, but stack the odds in your favour so that you can make consistent monthly profits and trade with confidence. You'll find a lot more stock option trading information on this site, but did you know that you can also trade options on commodity futures and forex pairs.